Industry and academic professionals will be sharing their expertise and experiences in the field of Mathematics and Statistics. Dr. Caroline Colijn will describe research topics at the interface of public health and mathematics and showcase how new mathematical methods are needed for understanding and controlling infectious disease. Dr. Colijn works at the interface of mathematics, evolution, infection and public health. She joined SFU's Mathematics Department in 2018 as a Canada 150 Research Chair in Mathematics for Infection, Evolution and Public Health. She now heads an interdisciplinary research group at SFU. She did her PhD in applied mathematics at the University of Waterloo, where she studied the foundations of quantum mechanics. She changed tack in her postdoctoral years, working on mathematical modelling with Prof. Michael Mackey at McGill and the on TB modelling and epidemiology in Megan Murray's group at the Harvard School of Public Health and the Broad Institute at MIT. She moved to the Department of Engineering Mathematics in Bristol, England in 2007 and later joined Imperial College London's Department of Mathematics in 2011. She has broad interests in applications of mathematics to questions in evolution and health, and was a founding member of Imperial's Centre for the Mathematics of Precision Healthcare. Peter’s research develops new social data analysis methods to better understand rumors, fads, disinformation, and information flow. Some of his recent work in these areas has also touched on public understanding of science and public understanding of artificial intelligence (AI). The methods he has developed span observational data analysis, behavioral modeling, online laboratory experimentation, and online field experimentation. Several of his research projects have specific implications that could inform pressing policy issues, such as the development of systems for dealing with certain types of misinformation, the design of online financial exchange platforms, ethical approaches to social data science, and AI governance. 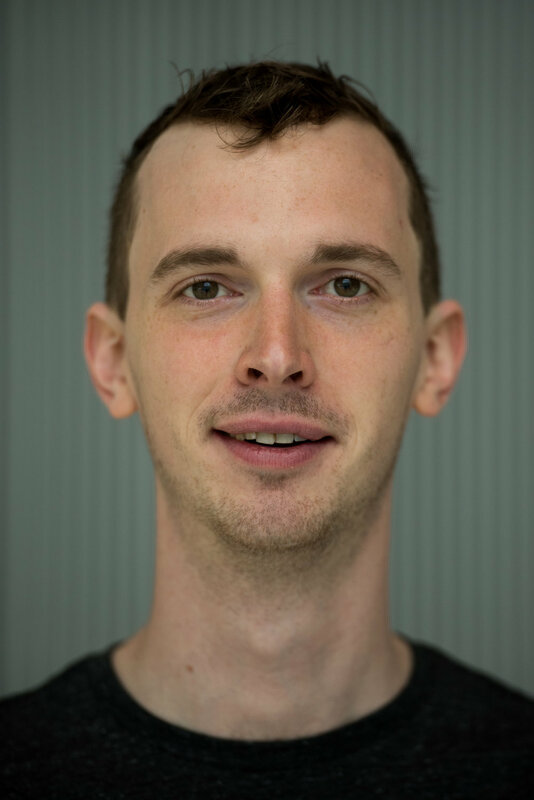 Peter is currently a Moore/Sloan & WRF Innovation in Data Science Postdoctoral Fellow at the University of Washington, where he works in the DataLab, and co-directs the Critical Platform Studies Group. He is also a part-time postdoctoral researcher at the University of California Berkeley's Social Science Matrix. Peter completed his PhD in Electrical Engineering and Computer Science at the Massachusetts Institute of Technology, where he was located in the Computer Science and Artificial Intelligence Laboratory. He has published across human-computer interaction (HCI) and AI, and has won awards for his teaching and research. Stephanie's area of expertise is algebraic combinatorics. In essence, she uses combinatorial techniques to solve abstract algebraic problems, and vice versa, techniques from abstract algebra to solve combinatorial problems. Most centrally she studies functions in infinitely many variables called Schur functions, which arise in, for example, the areas of quantum physics, algebraic geometry, and theoretical computer science. Recently, she discovered natural refinements of Schur functions that reflect many of the properties displayed by Schur functions, and for many years were believed not to exist. She has also become interested in a generalization of the chromatic polynomial for counting the number of colourings of a graph and its relation to Schur functions. Stephanie earned a BSc Hons from St Andrews University in Scotland in 1994 and subsequently she earned her PhD from St Andrews University in 1998. From there she pursued a postdoc at York University in Toronto and a second postdoc at Cornell University before being appointed an Assistant Professor at UBC in 2002, rising through the ranks to Full Professor in 2012. Her awards for research include fellowships from the Leverhulme Trust and the Alexander von Humboldt Foundation, and she has won a Killam Award for her teaching. She is also one of the co-founders and organizers of the Algebraic Combinatorixx workshops at the Banff International Research Station to foster mentoring, collaborations and networking for women in algebraic combinatorics and related areas. Most recently she was the recipient of the 2017 Krieger-Nelson Prize from the Canadian Mathematical Society for “outstanding research by a female mathematician”, and gave a plenary talk at the Joint Mathematics Meeting in January 2019, which is the biggest mathematics conference in the world. The common mathematical theme in David’s research is the development and application of asymptotic methods for nonlinear PDEs. These asymptotic techniques are used for simplifying model systems to allow further analysis or computation, or for constructing approximate solution algorithms for PDEs. Numerical computation plays an essential role in the investigation and verification of these asymptotic theories. These methods are then used as a basis for understanding the evolution and dynamics of nonlinear patterns and waves within PDE models. Most recently, he has been investigating models from the field of geophysical fluid dynamics (GFD), a specialization to rotating and stratified fluids which applies to the motions of the atmosphere and oceans. Much of this work, pertaining to midlatitude (North American) weather, is in direct collaboration with meteorologists at the National Center for Atmospheric Research (NCAR, Boulder CO) and the Atmospheric Sciences Department at the University of Washington (Seattle WA). In addition to the above issue of pressure-cell asymmetry, we are also investigating the generation of atmospheric gravity waves in connection with clear-air turbulence, and the Influence of the tropopause (the lower boundary of the stratosphere) on the development of surface weather. 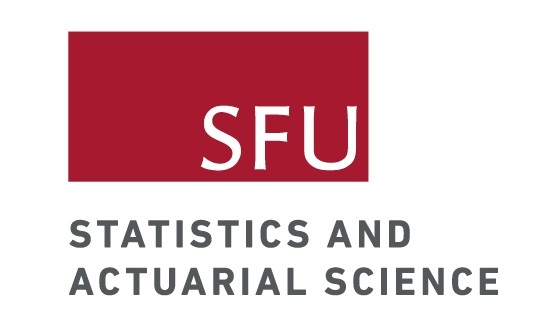 Richard is a Professor of Statistics at Simon Fraser University; he started there in 1979. His work includes goodness-of-fit, high dimensional inference, inference in stochastic process, use of probability in number theory, set theory, and large sample theory He has been involved in a few applied projects: modelling vehicle loading on the Lions Gate Bridge, dating sedimentary strata using thermolunimescence and detecting previously unobserved particles in high energy colliders. The last of these grew out of the search for the Higgs boson. Evidently there is no clear plan here; students would be well-advised to avoid this strategy for an academic career. Richard has won a few awards the most significant of which is his fairly recent appointment as a Fellow of the Royal Society of Canada.